Wild Boar bacon smoked to a delicious flavour. Try Something Different! Try Wild Boar. No added hormones, no steroids, no antibiotics. From free foraging animals. 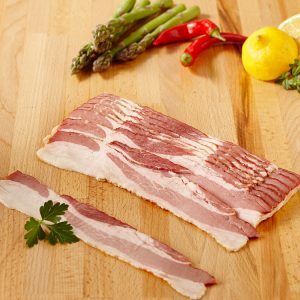 This bacon will take your breakfast to the next level.